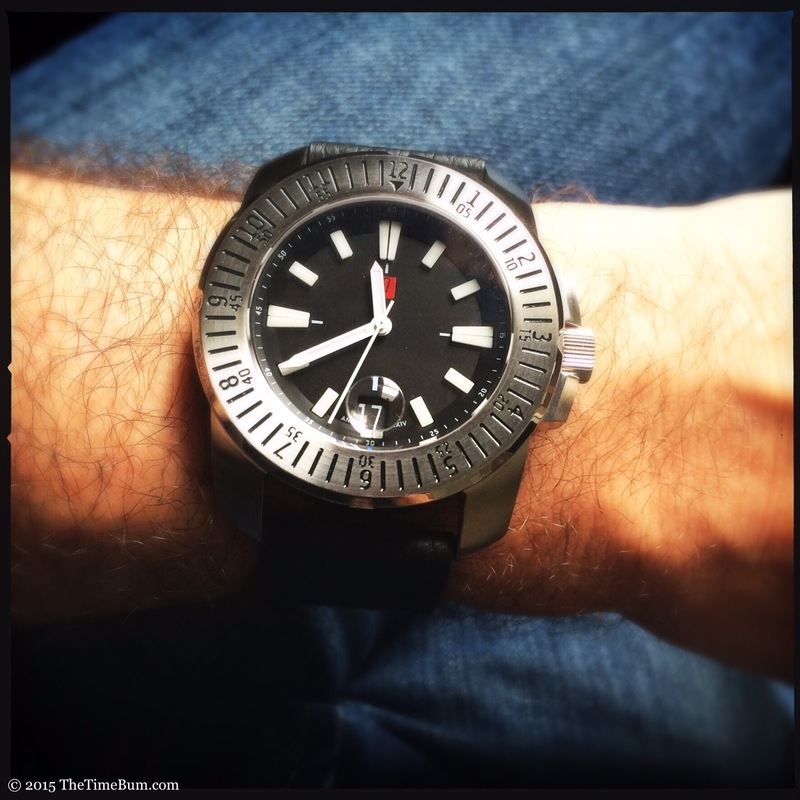 It has been a little while since the last Time Bum Giveaway, but now I've got a good one for you: The Florijn Een dive watch. It's big, it's bold, and if you win this raffle, it's free, which is a significant discount from it's usual 326 EUR price. If you have not already, go back and read my review. This is the very same watch I wore, photographed, and evaluated in that feature. It will come with its original packaging, three straps (rubber, leather, and nylon), and strap changing tool. Just go to the Rafflecopter box and follow the simple steps. The box will tell you what to do. The entry period ends June 30, 2015.